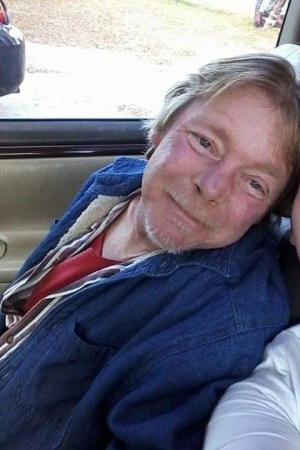 Mr. Robert Graham, 54, passed away April 2, 2019 at his residence after a brief illness. Born on June 4, 1964 in Laurinburg, NC. He was a son of Mrs. Joyce Gattis Graham and the late Dan Graham, Jr. He was a self-employed painter. He loved flirting with the woman and working on cars. He enjoyed spending time with his family and playing with his grandkids, his dog Whiskers, and he especially loved his momma. Mr. Graham leaves behind to cherish his memory: his mother, Joyce Graham of McColl; sons, Jonathan Graham (Ty-ling) of Bennettsville, Joshua Graham of Myrtle Beach, SC, and Zach Graham (Candace Barber) of Clayton, NC; daughters, Stacey Plato(Jamar) of Tatum and Gabriel “Gabby” Graham (Anthony Crumity); brother, Danny Ray Graham of McColl; a sister, Emmy Joyce Mills (Branham) of Rockingham, NC; Melissa Graham; 2 step-children, Kimberly Richardson and Alysha Cox; 11 grandchildren; and 4 step-grandchildren. He was preceded in death by his father listed above; ex-wife, Edna Jacobs; and 2 step-grandchildren. A memorial service will be held 3pm Friday, April 5, 2019 at Rogers Funeral Home. The family will receive friends after the service. Memorials are suggested to Robert Graham Funeral Fund c/o Rogers Funeral Home PO Box 38, McColl, SC 29570. Rogers Funeral Home is honored to assist the Graham family.